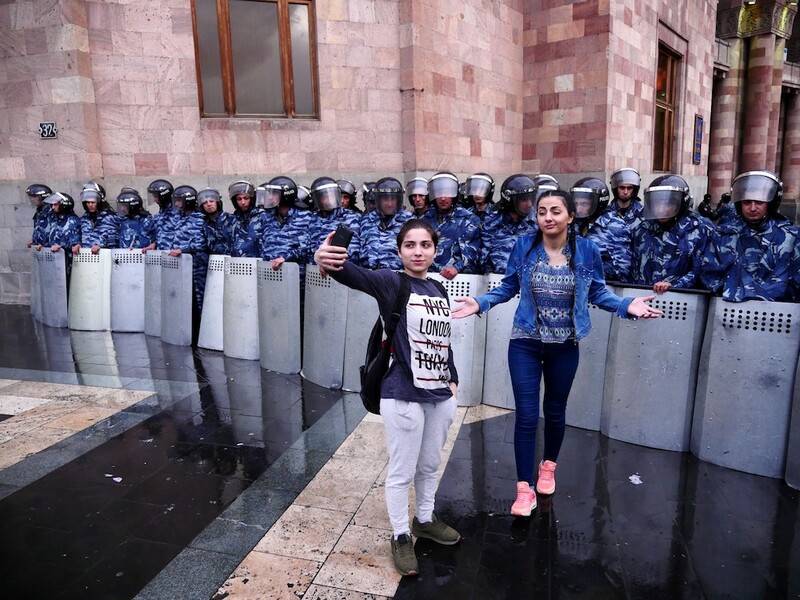 The peaceful uprising in Armenia last month — dubbed the Velvet Revolution — was unlike anything the country had seen before and was defined by its young participants and a joyful disobedience. What was the culture of these protests and will it endure? The elevation of protest leader Nikol Pashinyan to the post of prime minister last month was the dramatic culmination of Armenia’s peaceful revolution. Immediately after the deputies in parliament voted for Pashinyan, a truckload of snow was brought from the slopes of Mount Aragats to Yerevan’s central square and dumped in the middle of the jubilant crowd. In the warm light of a sunny spring evening, the joyful protestors staged a celebratory snowball fight. This hail of snow was not just a bizarre coda to the weeks of protests that swept the country and brought the streets of Yerevan to a standstill, but reflected the culture of the demonstrations themselves and the beliefs of the young people who drove them. Above all, the protests were directed against the corruption of the ruling party and the Armenian political elite and symbols on the street were co-opted accordingly. Demonstrators wore white (to show their purity and desire for democratic government) and Iceland’s football chant was deployed as a symbol of an open hand, free from bribes. The snowball fight with its (white) snow and open hands (letting snowballs fly) seemed, like a piece of street theatre, to encapsulate both these aspirations. Armenia’s protest movement began in April after Pashinyan and his followers announced that they would oppose the candidacy of Serzh Sargsyan, the country’s longstanding president, for the post of prime minister. Sargsyan was widely accused of sidestepping the constitutional limit on two presidential terms in order to cling onto power. But compared to previous mass demonstrations in Armenia in 1988 and 2008, the gatherings of 2018 were exceptional in their size and because they created a completely new culture of protest. At the very start, Pashinyan and his team walked from Armenia’s second city of Gyumri to Yerevan, maintaining they were following in the footsteps of Mahatma Gandhi. Pashinyan himself, who wore a bandage after injuring his hand, grew his beard, dressed in camouflage t-shirts and carried a rucksack, apparently filled with camping gear. The aspirations of transparency and openness were reflected online as Pashinyan used Facebook Live to tell his followers how to conduct themselves and explain the decisions he was making. This tradition has endured even as Pashinyan made the switch to the prime minister’s office. On arriving for his new job, he gave his Facebook followers a guided tour of the corridors of power. For the first time in the history of Armenia, ordinary people saw and heard what had always taken place behind closed doors. Live streaming on Facebook, Instagram and other social networks was used by many protestors. This consolidated the revolution’s image as a revolution made by young people, demonstrating the language of those in power had aged, and was incomprehensible to those born in the 1990s. However, this form of communication also spoke to other generations: Skype, Facebook, Whatsapp and Viber have become inseparable parts of Armenian families. The Armenian diaspora in Russia and across the world means almost every Armenian family has relatives abroad with whom the Skype conversation is a regular fixture. In this way, Pashinyan and the other live-streaming protest leaders became part of ordinary families. “We’re waiting for the next livestream from Nikol,” became a refrain heard across the country. Popular memes linked Sargsyan with the famous Soviet cartoon character Cheburashka, which has the body and face of a bear but the large ears of a monkey. Instead of a dog at the end of a leash, women would drag Cheburashka along for a walk through Yerevan, while a grave was carried through the streets with Cheburashka’s portrait inside. At anti-Sargsyan gatherings, people would chant “Cheburashka, leave” and even took to publicly burning fluffy Cheburashka toys. Cheburashka made many appearances on social media feeds, but the hashtag of the revolution became #dukhov, which means to go forward without fear and in high spirits. It was quickly commercialised and appeared on t-shirts and hats, often alongside portraits of Pashinyan, worn by demonstrators. Music was a main stay of the protest culture. Young musicians regularly gave street concerts at which dancing and singing was encouraged — a far cry from the patriotic and military songs usually heard at demonstrations. The culmination of the musical revolution was the arrival in Yerevan of Serzh Tankian, best known as the front man of System of Down, and his performance of an Armenian folk song with Pashinyan on the city’s Republic Square for tens of thousands of supporters. On the ground, it was the localised protests targeting Armenia’s transport network that were most successful in halting the work of the government, showing that the authorities were unable to cope. Students and school kids quickly adopted the idea of undermining the system by blocking roads. Instead of Yerevan’s main square, protestors congregated at road crossings all over the city. Even these mini-demonstrations evolved their own culture. One road was blocked by a piano on which musicians played jazz, while children strung together toy cars to create another obstruction. All the while, adults created a party-like atmosphere by dancing or barbecuing kebabs in the streets. Mothers closed one road with their prams while a group of young people were seen playing volleyball to stop the cars. 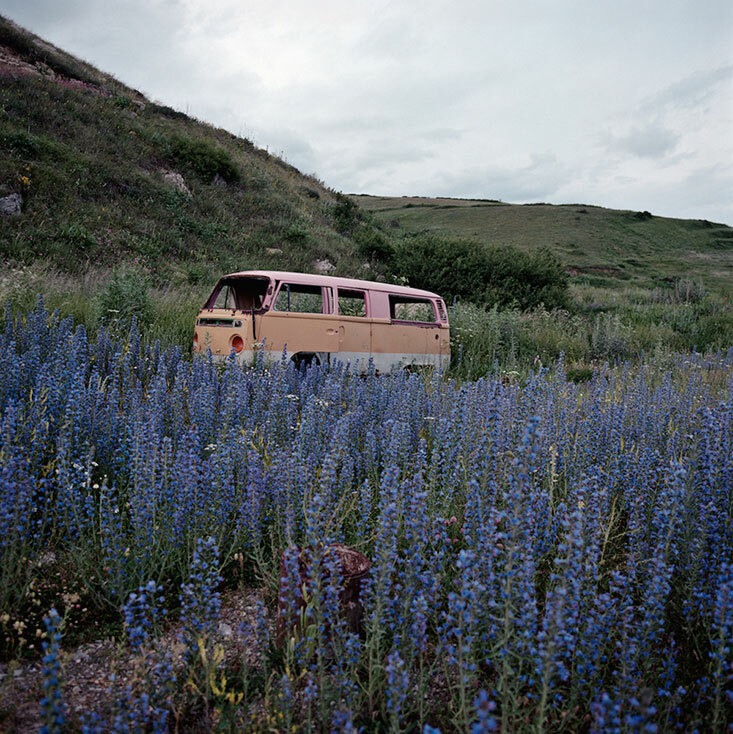 People were determined to protest peacefully, aware of episodes in Armenian history when protests had turned violent. Even those who couldn’t leave their homes — or who didn’t want to join street protests — played a role. In Yerevan during the demonstrations, at 11pm every night, people opened their windows and banged pots and pans together for 15 minutes. At first this form of protest was designed for the disabled, physically unable to take part in the demonstrations, but it soon became a general phenomenon. Every evening was a symphony of domestic protest as metallic clanging echoed across the city. The large demonstrations and marches were characterised by a generational shift. While mass gatherings in Armenia are traditionally associated with funerals and mourning, young people turned them into a carnival. Demonstrators carried coffins and wreaths and wore black armbands — but happily called on others to join in a joyful “burying” of the old regime. 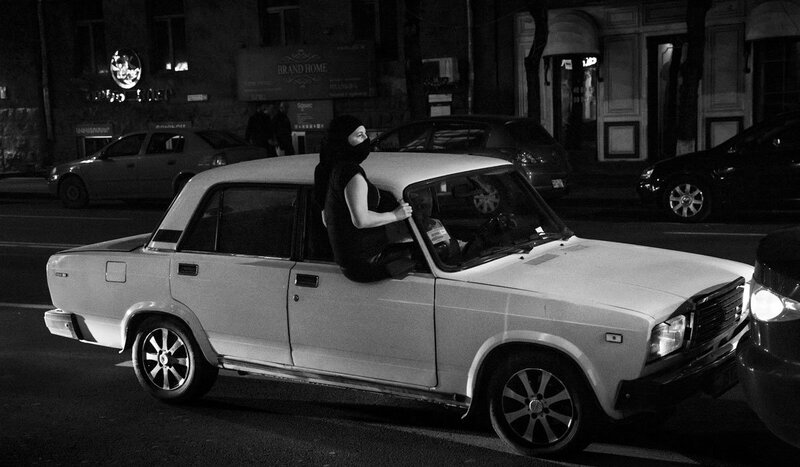 This over-turning of ethical norms deeply ingrained in those who grew up in Soviet Armenia was driven by young people, de-sacralising the elite and its cultural system. 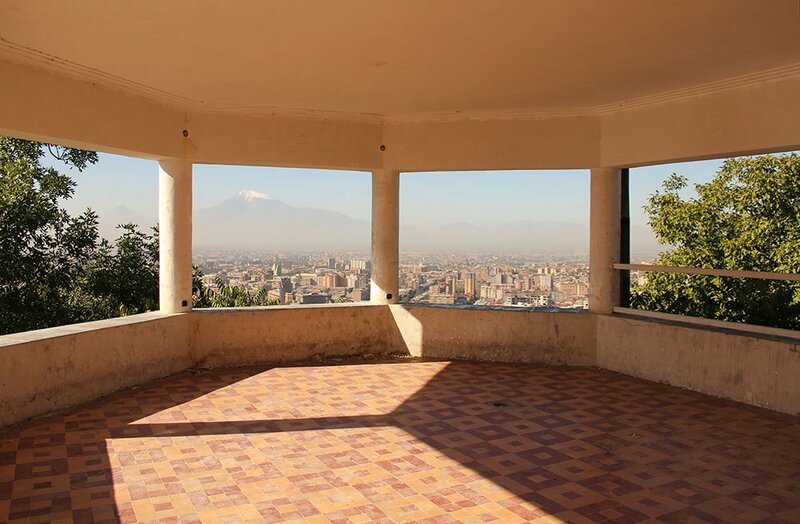 The timing of the major moments of the protests have, in an even more fundamental way, shifted the cultural landmarks of a new generation of Armenians. Public events in the country since the fall of Communism have been defined by dates such as the anniversary of the Armenian genocide and major Soviet holidays. But these rituals have been challenged, if not overturned by the protests. Sargsyan’s resignation took place on 23 April, the day before the day of commemoration for the 1915 genocide — giving remembrance a curiously celebratory feel. A major protest took place on 1 May — the Soviet labour holiday — and wild celebrations after the election of Pashinyan on 8 May overshadowed Victory Day 24 hours later. Both the symbols and form of Armenia’s youth revolution have not only helped sweep a new government to power, but challenged some of the tenets of the country’s post-Soviet cultural landscape. Time will tell whether the new culture of protest will take deeper roots.